Are you having a swimming pool installed at your home? If so, you need to know how to choose stonescapes swimming pool finishes. Having a pool installed at your home is an exciting project, especially since we have finally hit the spring season and summer is right around the corner. With the swimming season just days away, now is the time to plan your project and start on construction. Here are some tips for picking stonescapes swimming pool finishes. What are the Conditions Around the Pool? If you know exactly where the pool will be constructed in your yard then you will be able to answer this question. The conditions around the pool go a long way in picking the finish of the pool. How will the sun hit the pool? How deep will the pool be once it’s done? What does the landscaping and tree situations look like near the pool? Do you have a preference for how the pool water will appear color-wise? Do you want the water in the pool to sparkle or be more mellow? Do you want the pool water to be darker or lighter? All of these questions must be answered when deciding on the finish for your pool. How durable do you need or want the finish you choose for your pool to be? Durability is very important. Will you be in your home for the foreseeable future? Or, are you moving in a couple of years? 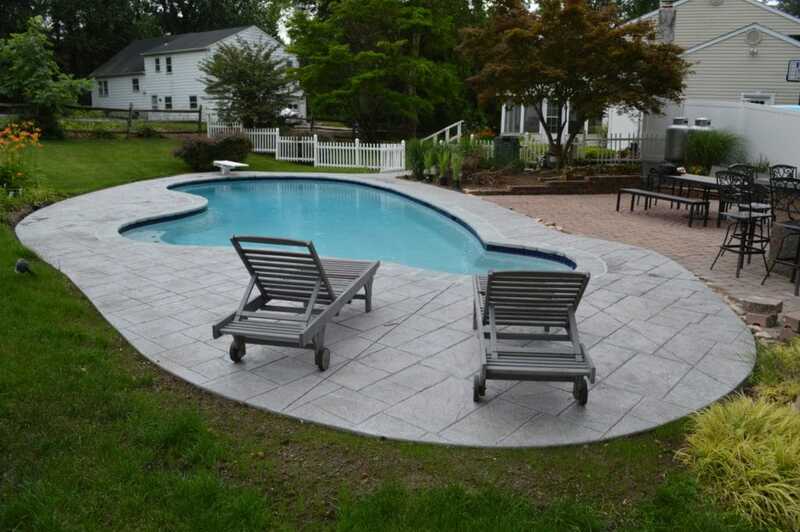 All of this matters when choosing the stonescapes swimming pool finishes for your home’s pool. Be aware that a stonescape finish for your pool will make it feel like you are in a stream that has pebbles at the bottom. So, if you are looking for a smooth bottom surface of the pool, you will want to go with something other than stonescape, such as a colorscape or quartzscape. The finish you choose for your pool is entirely up to you. Make sure it is something you will enjoy for years to come and matches the landscaping or theme of your backyard. When you are ready to get your project started be sure to call the experienced and trusted team from Coronado’s Pool Renovations, Inc. at 215-723-5885 to schedule a consultation.